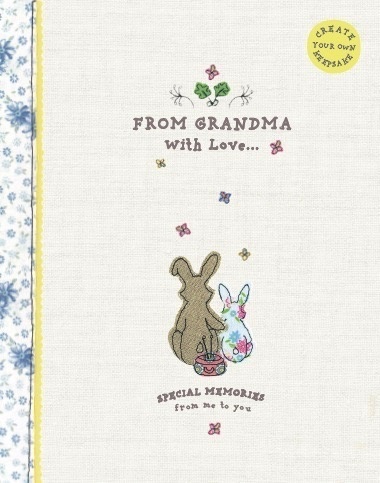 Size: 240mm x 191mm / Hardback / Arlin Finish / 96 Pages Key Selling Points: From Grandma with Love Keepsake Book - A gorgeous addition to the new Cute as a Button range. Stunning and unique keepsake books. Each page is brought to life with beautiful applique artwork by Annabelle Ozanne. Books contain thought-provoking questions, pages for musings, plus areas for photos and clippings.